Background/Info: Crytek is a Parisian based solo-artist who already self-released several digital productions. The band now joined hands together with Alfa Matrix to unleash this first (digital) EP, which comes as a teaser to announce the debut album “Shadow Voices” planned for 2018. Content: I never heard of Crytek before, but the title song makes me think to the Faderhead style with an extra industrial flavor on top. Especially the production of the vocals is pure Faderhead-like. 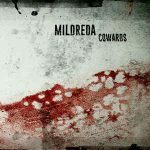 Next to a B-side track the EP features remixes of “Anathema” by Kant Kino, Acylum and Volunteer Of Eternity. 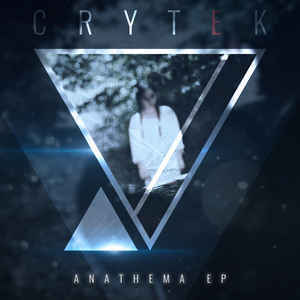 + + + : Crytek probably is the kind of band that was missing from the Alfa Matrix roster. The sound is quite ‘pop’-driven but merged with harder and rawer influences creating an industrial dance-style. That’s pretty original, but I also enjoy this raw and somewhat unpolished approach. Among the remixes I highly recommend the dark transformation of Acylum. The remixes bring an interesting variation to the title song. – – – : I’m not totally convinced by the rather flat and sweet vocals. I’m missing passion here. “Anathema” is okay as title song, but not exactly what I would call a ‘big hit’. Conclusion: I’m waiting to hear more work from Crytek. You clearly feel it’s an artist with some potential, but it doesn’t totally come through at “Anathema”. Let’s see how the full length will sound. 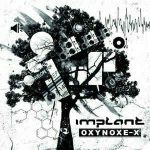 Best songs: “Anathema – Acylum Remix”, “Anathema – Volunteer Of Eternity Remix”.